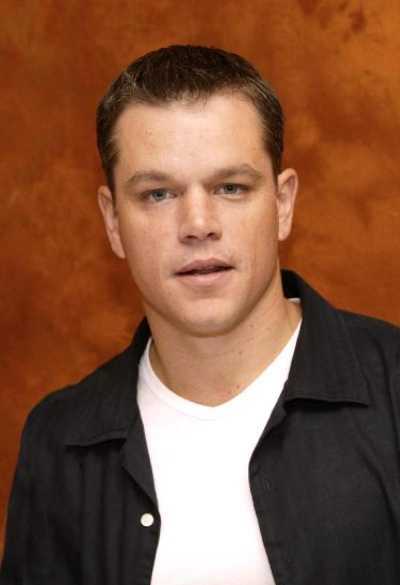 I heard actor Matt Damon make a comment about potential U.S. Presidential candidate Sarah Palin in 2008, implying that he would never vote for someone who believes that dinosaurs roamed the earth 4,000 years ago. Can you blame him? I have a problem with that claim myself. Albert Einstein said, “Religion without science is blind.” People don't have much patience when preachers teach that dinosaurs roamed the earth 4,500 years ago. Some theologians like Dr. John R. Rice taught that Noah left the dinosaurs behind and they died in the flood. Others, like Henry Morris III, teach that Noah took baby dinosaurs onto the Ark, and they survived the flood. Biblically, in my humble opinion, dinosaurs never lived with man at all. I think there’s a really good chance that Sarah Palin could be president, and I think that’s a really scary thing because I don’t know anything about her. I don’t think in eight weeks I’m gonna know anything about her. I know that she was a mayor of a really, really small town, and she’s governor of Alaska for less than two years. I just don’t understand. I think the pick was made for political purposes, but in terms of governance, it’s a disaster. You do the actuary tables, you know, there’s a one out of three chance, if not more, that McCain doesn’t survive his first term, and it’ll be President Palin. And it really, you know, I was talking about it earlier, it’s like a really bad Disney movie, you know, the hockey mom, you know, “I’m just a hockey mom from Alaska”—and she’s the president. And it’s like she’s facing down Vladimir Putin and, you know, using the folksy stuff she learned at the hockey rink, you know, it’s just absurd. It’s totally absurd, and I don’t understand why more people aren’t talking about how absurd it is. I ... it’s a really terrifying possibility. 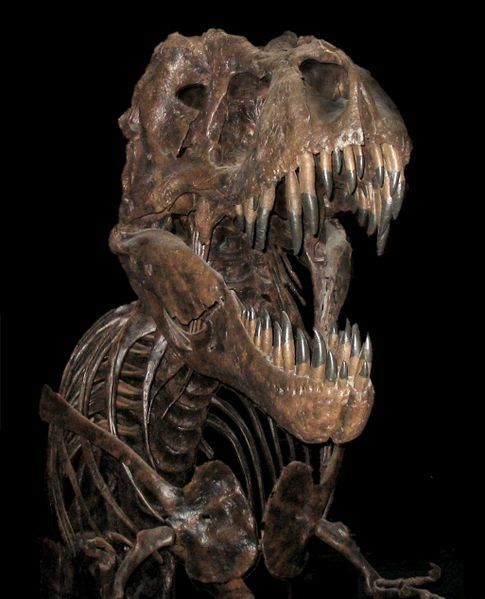 When I lived in Chicago I saw “Sue” the T-rex on display at the Field Museum Of Natural History. The skeletal dinosaur remains were unearthed in the state of Montana. I recall looking up, because Sue is really tall. There's no way that these horrific, yet beautiful, creatures dwelt with humanity. Any thinking person has a hard time believing that Noah left the dinosaurs behind. It is superstition. The truth is that dinosaurs never coexisted with mankind. Up until recently I had remained neutral in my position of a Young Earth verses an Old Earth view. Since it's not a fundamental Biblical doctrine pertaining to salvation, I didn't take sides in the issue; however, I can no longer remain neutral. Many educated people are steering away from the gospel on the grounds of ignorant believers who boldly claim falsely that dinosaurs roamed the earth 4,500 years ago. A Young Earth view is an enemy of soul-winning!!! Please read my Biblical rebuttal of Ken Ham's Young Earth heresy in my article titled, The Unscholarly Rubbish Of AnswersInGenesis.org to learn more. SOURCE: The Truth About Evolution; Or, Don't Let Satan Make A Monkey Out Of You, by Dr. Max D. Younce. Here you see the potential harm again in holding to a Young Earth view. We saw earlier that skeptics like actor Matt Damon won't waste their time listening to a professed Christian who thinks dinosaurs roamed the earth 4,500 years ago. I don't blame him at all. It is absurd to believe. By holding to a Young Earth view we may indeed be responsible for someone not coming to Jesus Christ to get saved. Soul-Winning opportunities are lost if we lose the respect of our listeners. The unsaved world laughs at Christians who hold to a Young Earth view, in particular concerning the matter of dinosaurs. It discredits a preacher when he goes against legitimate science, because most people are objective thinkers when it comes to preachers and they know bogus teachings when they hear it. It is simply absurd to claim that dinosaurs roamed the earth 4,500 years ago. The flood of Noah's time is estimated to have happened around 2348 BC). Very few Christians know how to reconcile the reality of dinosaurs and science with the Genesis account of creation in the Bible. Well, now you can KNOW the truth about the matter and explain it to others. The earth is indeed very old, but humanity has only been here since about 4,004 BC. Please continue reading and you will learn. This matter of an Old Earth (ruin-remodeling) verses a Young Earth is a heated debate. Some advocates of each group have even stooped low to accuse the other group of perverting the Gospel and not being saved at all. These are baseless allegations, not rooted in Biblical principle and truth. Dr. Kent Hovind has tried to accuse proponents of an Old Earth view of distorting the Gospel message. Mr. Hovind claims that since Adam's sin brought death into the world, then there couldn't have been any death prior to the Garden Of Eden. However, Romans 5:12 plainly states that Adam merely allowed sin to enter the world; but Adam didn't manufacture sin. Sin was already present. Romans 5:12 tells us that Adam's one sin brought sin into the world, and death by sin, for all have sinned. Romans 5:19, “For as by one man's disobedience many were made sinners, so by the obedience of one shall many be made righteous.” There is nothing sacrilegious in an Old Earth view. Christ died for the sins of mankind; not Lucifer nor the fallen angels. The reality that there was sin prior to the Garden Of Eden in no way negates Christ's sacrifice for the sins of men. Revelation 20:2 identifies the serpent in the Garden Of Eden as Satan (see also Ezekiel 28:13). I'd say that 90% of all professed Christian websites adhere to and promote a Young Earth view, which includes the Institute for Creation Research (ICR) by Dr. Henry Morris, Creation Today (CT) by Eric Hovind, and AnswersInGenesis (AIG) by Ken Ham. These den of thieves have exploited the Holy Bible for their own lucrative profit, teaching lies and desperately grasping for straws to justify their heresies to make tons of money. In 2014, God Quest (aka, Creation Today) by Eric Hovind took in $1,234,389 income. Within the ministry, they can spend that money anyway they want as long as it's for the ministry. They can drive ministry cars, eat ministry food, enjoy ministry trips and anything else related to the “ministry.” From what I have seen in my life, non-profit organizations are easily abused for personal gain. I'm not saying that Eric Hovind is doing that, but I have a problem with professed believers exploiting a niche, one issue ministries, that make ridiculous profits. The Young Earth Creation Movement: Deceiving Their Followers For Over 40 Years! Also, CreationToday.org, which is ran by Eric Hovind (Kent Hovind's son). These two organizations and their websites teach a Young Earth view. Sadly, Eric Hovind has sold-out and been drawn into the Lordship Salvation heretical movement. Their website openly teaches that a person must “endeavor” with God's help to depart from sinful bad habits to be saved. It's a requirement for their way of salvation, but the Bible disagrees with them completely. CreationToday.org doesn't even mention the death, burial and resurrection of Christ (which is the Gospel according to 1st Corinthians 15:1-4). Ken Ham is another false prophet, the founder of the Answers In Genesis website, who espouses a Young Earth view of creation. In a ridiculous article authored by Paul Taylor and Mark Van Bebber of AnswersInGenesis.org (AIG) titled, “Six Days or Billions of Years... Does it Make Any Difference?,” they reveal their woeful ignorance (or intentional dishonestly) of what old-earthers believe and what the Bible actually teaches. Please read, The Unscholarly Rubbish Of AnswersInGenesis.org for my Biblical rebuttal of their Young Earth heresy. I've read the alleged scientific reasons for a Young Earth and they are lame at best. CreationToday.org's biggest argument in support of a Young Earth is the short duration of mankind's history (going back 6,000 years to 4,004 BC). They're comparing apples with oranges. The age of an Old Earth has absolutely NOTHING to do with the age of a Young Human Race. There is no debating that mankind DIDN'T exist prior to 4,004 BC. The advancement of humanity's writings, inventions, knowledge and population all attest to the fact that mankind began around 4000 BC. Many people agree with this blatant observation, but then get confused when they hear scientists talking about dinosaurs that lived millions of years ago. The answer is an Old Earth; Young Man view of the matter. Dr. Max D. Younce expounds the matter diligently in his timeless classic book, THE TRUTH ABOUT EVOLUTION (.PDF file). America's churches have been infected with a false message of “surrender to Jesus, make a commitment to Christ, amend your sinful ways, forsake the world, give your heart to Jesus, prayer the Jesus' prayer”... and so forth. None of these are the Gospel. You may do all these and a whole lot more, and yet never be saved at all. Ye must be born again (John 3:5-7). Only by receiving Christ's death, burial and resurrection as payment for MY SINS, can I be saved and go to Heaven. Won't you receive Him now as your Savior as John 1:12 says, believing the Gospel so that all your sins will be forgiven, washed away by Jesus' precious blood (1st Peter 1:18-19)? Matt Damon is but one of tens-of-millions of people who have thinking brains and won't tolerate willful ignorance concerning when the dinosaurs lived. Most Christian scholars have attempted to force-fit dinosaurs into the Old Testament or onto the ark (as does Dr. Walt Brown of CreationScience.com), because that's the best explanation they can come up with. Well, here's the truth for those who want it concerning our wondrous Old Earth.